Do you ever come across a recipe and think If only I liked (fill in the blank), I’d love this! Well when I came across this recipe for Chorizo-and-Goat Cheese-Stuffed Peppers I thought, if only I liked goat cheese and if only I ate chorizo and if only this used basil instead, this would be right up my alley! Well, when in doubt, substitute! I recreated these appetizers using what I wanted instead to come up with something similar yet my own. Introducing Sausage-and-Feta Cheese-Stuffed Peppers! 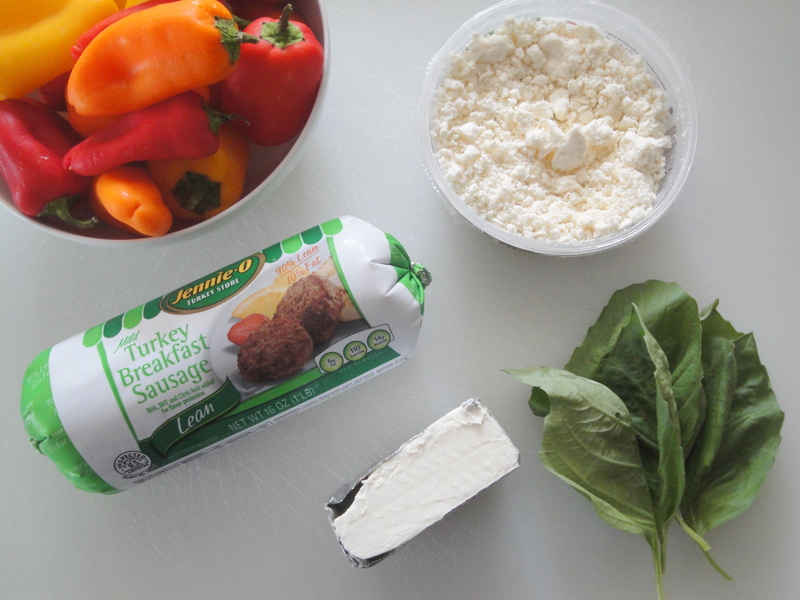 Turkey sausage and peppers are cooked together before adding in creamy cream cheese and tangy feta cheese. 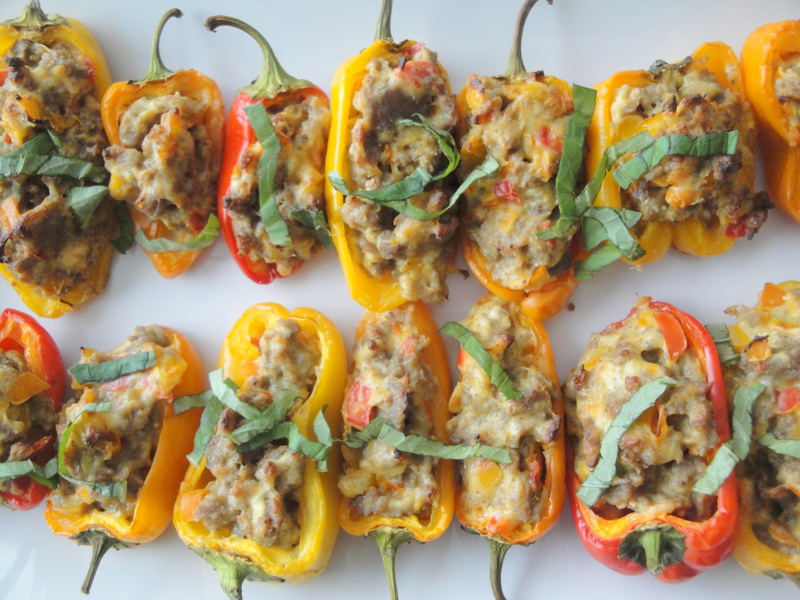 The whole mixture is scooped into mini-sweet peppers and baked creating a perfectly small, appetizer-sized stuffed pepper. 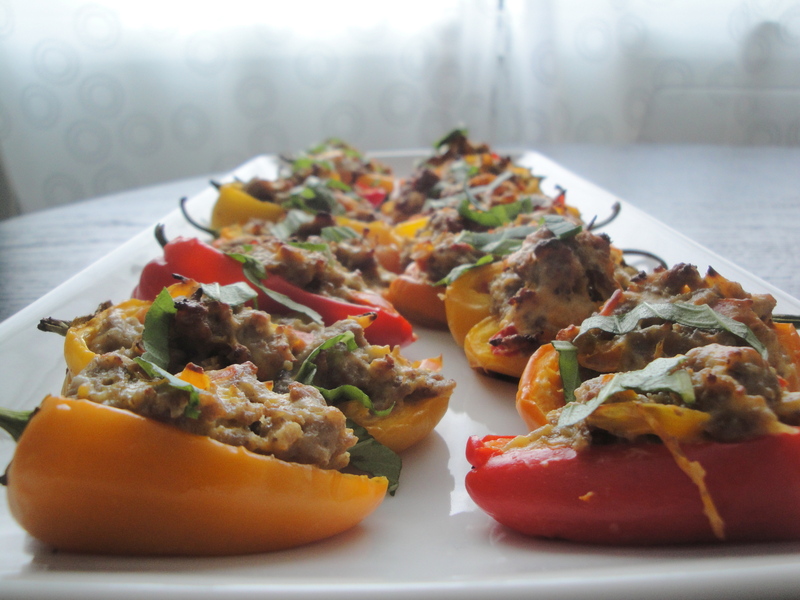 The flavor of the turkey sausage, mixed with the difference cheeses and sweet peppers make for an overall perfect appetizer in my opinion. Yes, removing the seeds of the peppers and making them into cute little boats may be a bit time consuming but the rest of the dish is easy as pie and quick to come together. The hardest part is waiting the fifteen minutes for these suckers to be done. The best part of the hardest part? Eating the left over sausage mixture out of the pan with a spoon while you wait. Preheat oven to 425°F and line a baking sheet with aluminum foil. Cut about 1/4 inch from top of peppers to form a “boat” (see picture below). Seed peppers, if desired, and finely chop pepper tops. 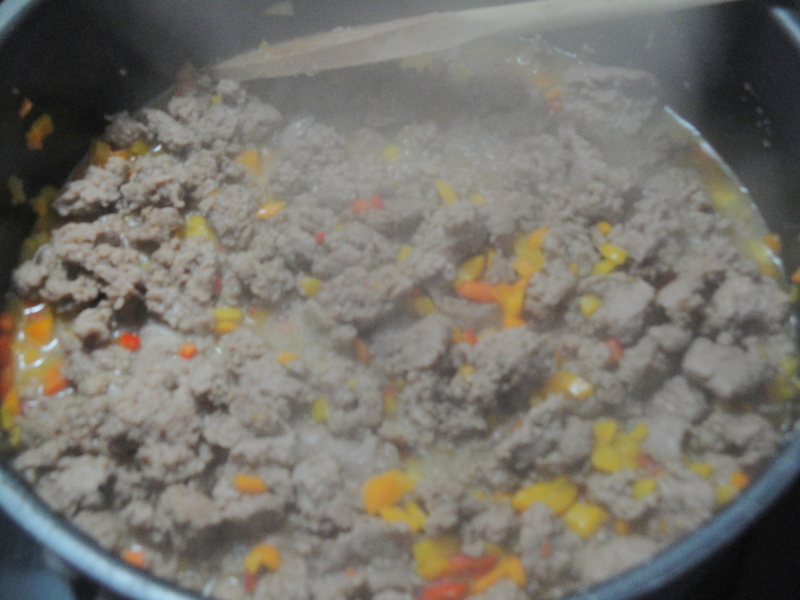 Combine chopped peppers and sausage in a large nonstick skillet over medium-high heat. Cook, stirring occasionally, 8 minutes or until sausage is browned. Drain well, if necessary. Add feta and cream cheeses, stirring until well blended. Spoon or pipe sausage mixture into pepper boats. 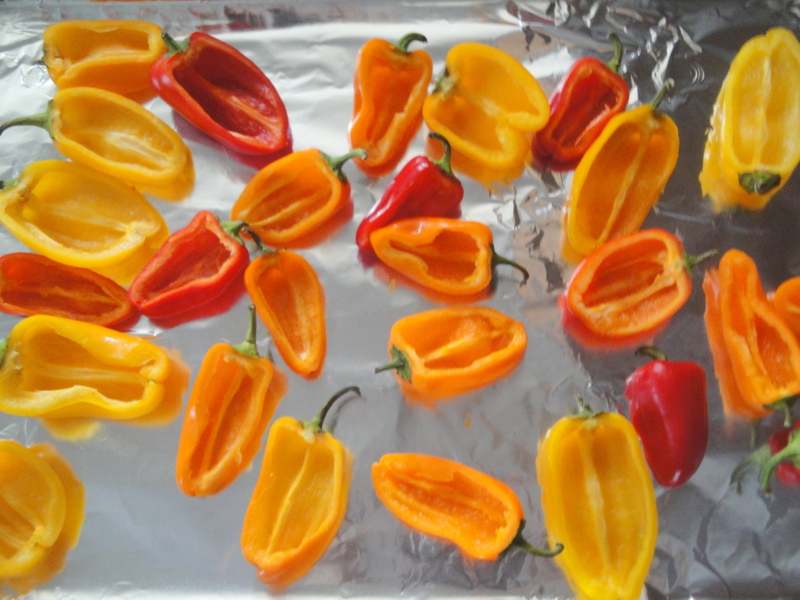 Place on prepared baking sheet, and bake 15 minutes or until cheese melts and peppers are tender. Garnish with basil, if desired. Preheat oven to 425°F. Line a baking sheet with aluminum foil. Cut about 1/4 inch from top of peppers to form a “boat.” Seed peppers, if desired, and finely chop pepper tops. Combine chopped peppers and sausage in a large nonstick skillet over medium-high heat. Cook, stirring occasionally, 8 minutes or until sausage is browned. Drain well, if necessary. 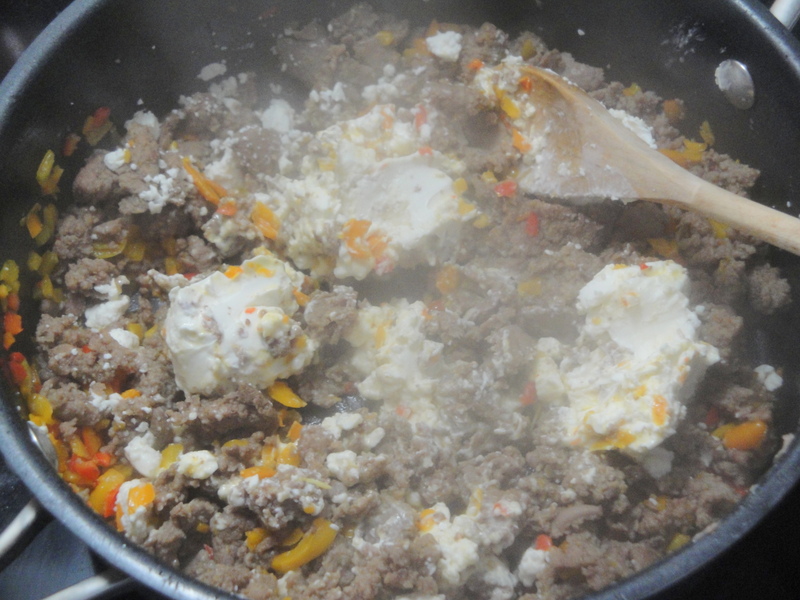 Add feta and cream cheeses, stirring until well blended. Spoon or pipe sausage mixture into pepper boats. 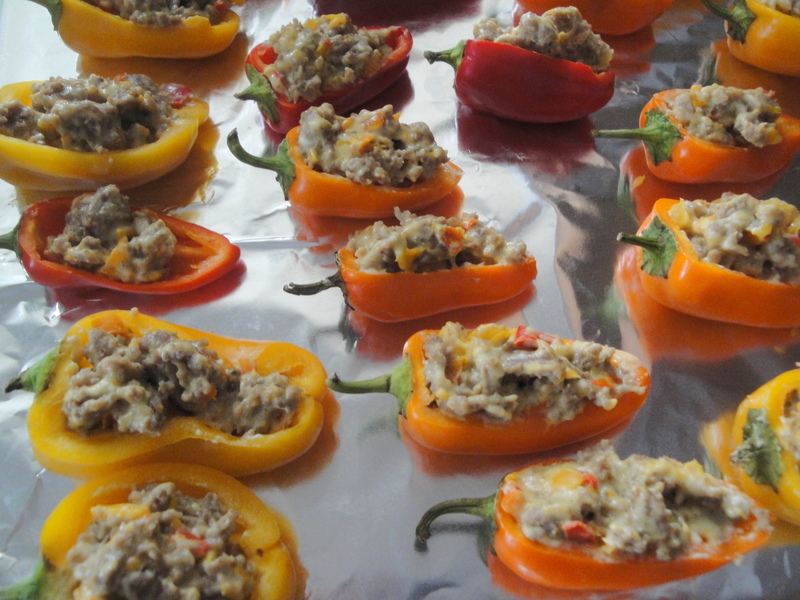 Place on prepared baking sheet, and bake 15 minutes or until cheese melts and peppers are tender.